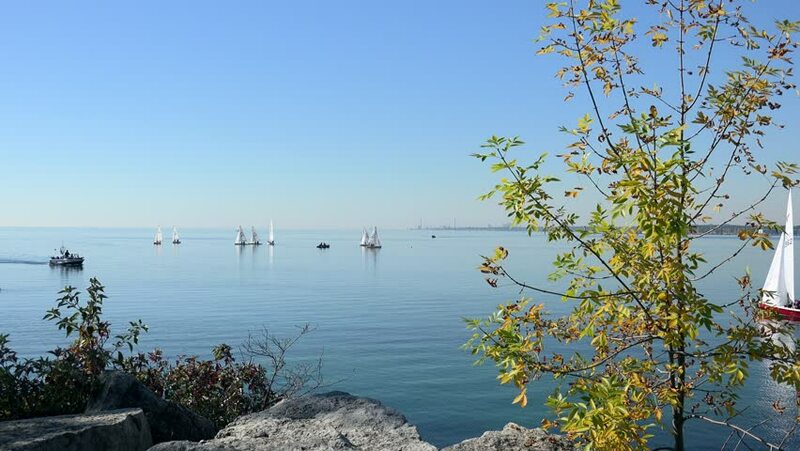 Lake Ontario, Port Credit, Ontario, Canada -September 27, 2014. Motorboat with people returning from fishing trip. Person without life vest, standing up shows very little respect for safety in a boat.